Actor Akshay Kumar says the business aspect of a film doesn't interest him much, as he has made enough money and now wants to focus on content and characters. With "Jolly LLB 2" earning Rs 100.37 crore at the box office, Akshay has delivered back to back hits like "Rustom", "Housefull 3", "Airlift" and "Singh Is Bliing". "For me the love of my audience is more important than the business. I think I have earned enough money. It is also important to get the right script, character, director and studio. It was my first experience with them and I would want to do more films for them," Akshay told reporters during a press conference to mark the success "Jolly LLB 2". 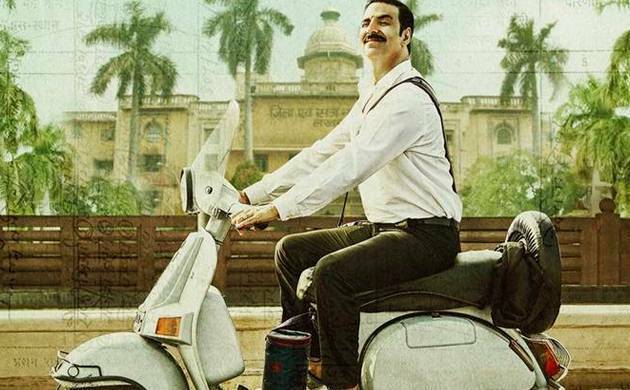 "Jolly LLB 2", sequel to the 2013 hit film of the same name had Akshay playing the role of a lawyer and he says for his role he was fully dependent on director Subhash Kapoor. "I have never dealt with lawyers, as I never got into in any legal trouble. Subhash Kapoor (director) explained to me everything because he was a political journalist before turning a director. So, he had covered cases and knew how it works. I have never been inside a court." Despite delivering hit films one after the other the 49-year-old star doesn't think he understands the mindset of the audience. "I don't think I have managed to catch audiences pulse... it is just a phase and your hard work pays off eventually. Many people make good films but they don't do well. But they always think that they are making Mughal-e Azam or Pakeezaah. But it does not happen... some films work, sometimes it doesnt." Appreciating the work of his co-stars Saurabh Shukla and Annu Kapoor, Akshay says the sequel has done well primarily because of the team work. "I think what has helped this film is team work and screenplay. Saurabh Shukla, Annu Kapoor, they are the biggest pillars of the film. Huma Qureshi and Sayani Gupta have also done a wonderful job. I got to learn many things from Saurabh and Annu ji. "I always used to crack this joke on the sets that Subhash has got six actors from NSD and four actors from FTII and I am the only one who is from Khalsa College."